One Haunted Afternoon During Winter In Russia was an incident takes place in Russia on a cold Saturday 21st November 2013 when temperatures were on that day was minus 10 degree Celsius. I was on a visit to my friend’s marriage in Norway. The place where we were was my friend’s fiancee’s house. We reached the airport on Friday night only and a few relatives of my friend’s wife had come to pick us as a total of 120 people of my friend’s was invited for marriage. My friend’s wife is too much wealthy had a big mansion which can accommodate 2000 people, and we were only 120 people, when we entered the mansion we were served with a hot coffee and snacks and arrangements of dinner was there after we become fresh in our rooms. We completed our coffee and snacks and went to our respective rooms, and as I was the very close friend of Groom, I was staying with him in his room only. Now I often awake late when slept late, but that day was something different for me and my friends who in our dream haven’t thought that this haunted experience we were going to have. Now all are sleeping including me after a tiresome journey and enjoyment. Now from here the story begins, it was around 3:45 and I wake up for pee, it was all normal till now. I went to the bathroom attached for pee and just when opened the door, nobody was there in the room. 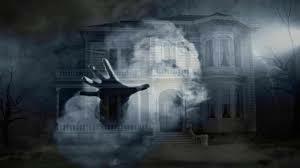 I am shocked to see that, I went outside of the room and checked other rooms too but nobody was there, I have checked the whole mansion but nobody was there, I am very afraid and confused at the same time.